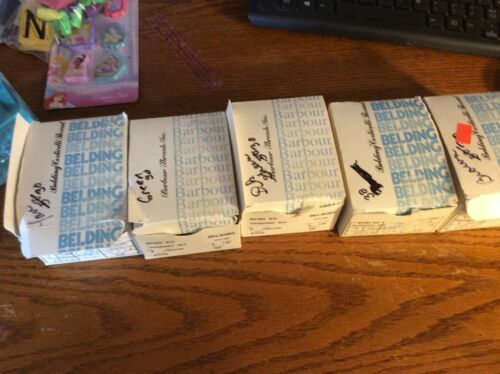 BELDING GRAY POLYMATIC POLYESTER BELBOBS SEWING BOBBIN SIZE FF LOT OF Over 200! 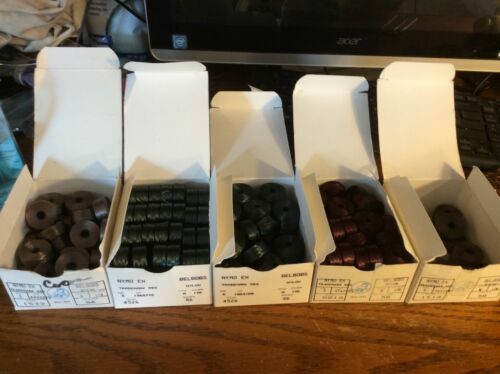 I m offer what you see in pictures, 5 boxes of belting and Barbour belbobs thread, these are mini spools see pictures for sizes and particulars, these are green, brown and purple. Great deal for a lot of thread!